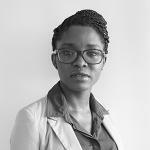 Ms. Kehinde Balogun joined the Environmental Migration, Social Vulnerability and Adaptation (EMSVA) Section at UNU-EHS as a Disaster Risk Management Expert in 2012. She has since worked on Climate Change Adaptation and Disaster Risk Reduction Projects, published reports, training documents, policy briefs, including participated in workshops, meetings and conferences to assist vulnerable communities affected by the impact of climate change and disasters. Ms. Balogun completed her Bachelor degree in Business Management in 2007 and then proceeded to do a Master Degree in Disaster Risk Management with distinction, and simultaneously worked with the Disaster Management Training and Education Center for Africa (DiMTEC) as a Researcher with a focus on risk and vulnerability to disasters (drought and floods). Working with vulnerable communities, and presenting results to various government officials including the National Disaster Management Center of South Africa. She also organized and coordinated workshops, synopsis etc. Prior to this, she supervised and conducted a field research through a ActivQuest consultancy for the World Bank. From 2002 to 2005, Ms. Balogun focused her efforts in volunteering with Roma Rotaract Club – a leading global community of young adults taking action for positive change, sharing ideas, and looking at the world’s challenges in new ways. The clubs engage in hands-on service projects, social activities, and capacity development. During this time she joined the Peer Guidance Project funded by UNICEF as a HIV/AIDS Officer and Coordinator. Balogun, Kehinde ed. Applicability of Risk Transfer Tools to Manage Loss and Damage from Slow-onset Climatic Risks 2014/09/8-11 Salford Quays. Amsterdam: Elsevier B.V, 2014. Ramm, Gaby, Balogun, Kehinde, Souvignet, Maxime and Range, Matthias (2018). INTEGRATING INSURANCE INTO CLIMATE RISK MANAGEMENT: Conceptual Framework, Tools and Guiding Questions: Examples from the Agricultural Sector. UNU-EHS. Schaefer, Laura and Balogun, Kehinde (2015). Stocktaking of climate risk assessment approaches related to loss and damage. UNU-EHS Working Paper. UNU-EHS.